Its fourth-quarter earnings beat estimates and it navigated rocky markets better than peers. Yet investors value its assets less highly than those of staid Bank of America. Taming Goldman’s volatile revenue is in hand. The shadow of excesses like 1MDB is harder to manage away. A view of the Goldman Sachs stall on the floor of the New York Stock Exchange July 16, 2013. Goldman Sachs reported earnings applicable to common shareholders of $2.3 billion for the fourth quarter of 2018, equivalent to $6.04 per diluted share. Analysts were expecting $4.49 per share, according to estimates from Refinitiv. Revenue of $8.1 billion was 1 percent lower than a year earlier. Goldman’s return on equity for 2018 was 12.7 percent, absent the one-off effects of changes to the U.S. tax regime, compared with 10.8 percent the previous year. Bank of America reported $7.3 billion of earnings in the fourth quarter of 2018, equivalent to $0.70 per share. That beat analyst forecasts of $0.60, according to I/B/E/S estimates from Refinitiv. Revenue of $22.7 billion compared with analyst estimates of $22.4 billion, and was up 6 percent net of tax effects. Bank of America’s return on common equity of 11 percent for the full year 2018 compared with 7.9 percent in 2017, on the same basis. 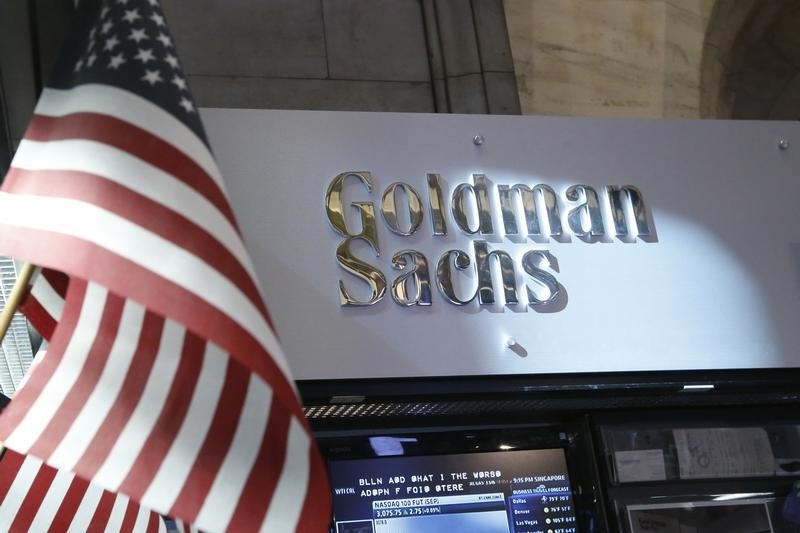 Fixed-income trading revenue in the fourth quarter of 2018 fell 18 percent at Goldman and 15 percent at Bank of America from a year earlier. That followed a pattern set by JPMorgan and Citigroup, which reported 18 percent and 21 percent declines, respectively.